Hi there blog friends, I have another shaped card for you!! 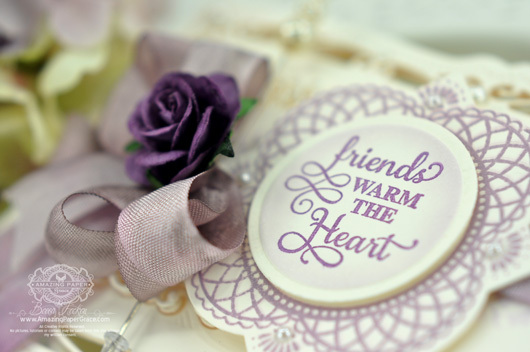 Purple is the order of the day :-) I love taking all the new filigree dies and layering them for a lacey look. I started out with Spellbinders™ Radiant Rectangles and cut so that I would have a hinge. For my back side I cut the same combination but left out the middle piece so that I would have a solid back. I did cut out an extra middle piece so that I would have something to layer with – I popped it up on two pieces of foam tape and stamped on it with Garden Gate Background Stamp. On top of that I layered a JustRite Papercrafts custom die – Vintage Labels Three that is stamped with a matching stamp from For All You Do Vintage Labels Three. I finished off by one more small little layer made with Spellbinders™ Standard Circles Small. I filled it with a sweet sentiment from Circle of Love. Also, be sure to visit me tomorrow, March 1st, at noon (EST). I have a die template to show that you probably have not seen before ;-). It was not shown during the recent sneak peeks, so tomorrow I’m going to give you some ideas on how to use it; it’s truly a treasure. It’s being shown as a part of the Explore Beyond Sneak Peek and Giveaway. Yep, as a part of the Sneak Peek there is a giveaway for die templates, so you want to be sure to read the entire Sneak Peek post for the link to enter. In addition as a bonus, (not part of the Blog Frenzy) leave a comment on my blog March 1st post after 12 o’clock noon or my March 2nd post after 12 o’clock noon (EST) and I’ll pick a name to receive the Filigree Topped Box with Cards I showed recently as well as some extra stamp set goodies I have stashed away. I’ll pick a name on March 3rd. Oh, and more great news – JustRite has new shipping rates!! Check it out!! Thanks so much for stopping by today – if you’re mildly curious about what I’ll be showing, see you tomorrow!!! Gorgeous and very elgant card. Luv the color as well. Beautiful cards and projects you have also done recently and in past. I Love that card Becca! I ran out and purchased Timeless Rectangles just because of it! Absolutely gorgeous! And such a great tutorial! I was wondering how you did it! So easy! Thank you! I really love your cards and I enjoy watching your videos. You come up with beautiful cards with great ideas. Now I know I have to get this die. The card is fabulous! WOW —so o o o o Beautiful. I need to try and make one very soon. Gorgeous card, Becca. Love the colours! Wonderful Becca… so easy once you see your great tutorial. You are so generous with your talent and give us so much inspiration. Thank you. I just love it when you have tutorials. Thank you so much for your precious time that you spend for our benefit ~ we all do so much appreciate it!! I did both my sister’s and daughter’s birthday cards based on two I have seen on your blog. I’m Getting Better at my cardmaking next to you and your blog!! 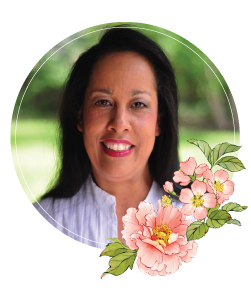 Love, love, love that you are back with your tutorials……..you are such an inspiration. Vey well made tutorial and a beautiful card. Thanks! You are such an inspiration…& thoughtful of others. Thank you for the tutorials. Becca I just love what you do and thank you so much for this tutorial. this is one die I just have to get. WAUW this is sooooo gorgeous Becca. I´m totally in love with card here, sooo stunning creation. Who wouldn´t just love to recieve such a beauty? You are just sooo brilliant and talented Becca. Oh my goodness this card is beautiful. Now I can not wait to watch your tutorial. I’m sure I will learn something from you. Thanks!! Beautiful!!!!!! Thank you for sharing. Wow! You never fail to astound me with your creations! Every day you seem to outdo yourself! 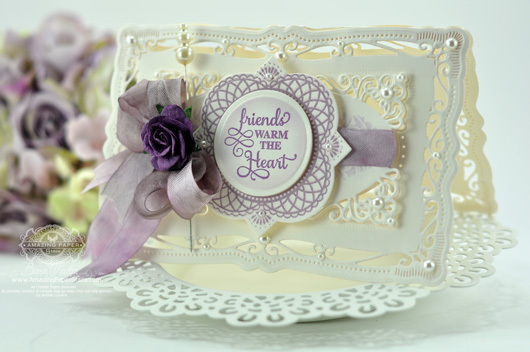 This hinged card is so beautiful and thanks so much for the easy to follow tutorial. You are the queen of crafting! I loved the box made with Spellbinders Labels 28. However I don’t have this die so I improvised. The bottom was perfect but the lid did not fit. Can you give measurements for those of us that don’t have this particular die. All of your cards are luscious. Thanks for sharing. Absolutely gorgeous! Love all the detail in this beautiful card! Once again another beautiful project! The hinge work is perfect and so very simple. Thanks for the tutorial and sharing this lovely project.